The solids flowmeters has weighing mechanics located externally and are unaffected by corrosive, abrasive, or hot materials.Handling a wide range of product sizes, densities, and fluidity including fine powders such as cement, etc. As an affluent name of this domain, we hold expertise in providing a high quality Solid Flow Meter. Solid flow meter for Solids. 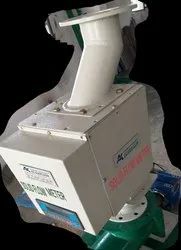 Solid flow meter SFM takes the material flow under gravity. It has least moving part unlike conveyors and elevators. Accuracy upto 1%. Range 0.5 TPH to 500 TPH. Customization available with consultancy service. 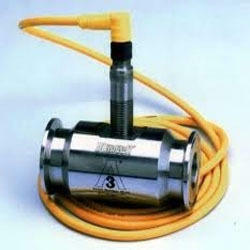 - Accurately measures and controls flow rate of products. Flexibility and simple scope for integration are just two of the many benefits of the MULTISTREAM® B solid flow meter.